Chris Lightfoot is the founder of ‘Beginners Guide to Writing‘, a website aimed at new and inexperienced writers who would like to start writing their family history. Chris lives on the south coast on the Hampshire/Dorset border (UK) where she also runs regular workshops on how to start writing a family history. What brings you to THE Genealogy Show? 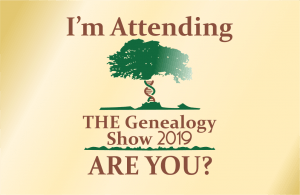 I am exhibiting at the THE Genealogy Show to meet and encourage visitors to start using their research to create a legacy which is both accessible and interesting. Genealogy research is of little use or interest if is just filed away on a computer or in boxes in the attic! On the other hand, a book or a series of stories is something family, friends or a wider audience can really engage with both now and in the future. What advice would you give to genealogists (and those researching their family history) who have dissuaded themselves from writing their research? I have met many genealogists at the shows I have exhibited at,and at my workshops and it saddens me how few of them have even considered what they are going to do with their research. Two of the most common reasons for not starting to write up their research is “I am not a writer” and “I haven’t got any interesting stories to tell”. Writing, just like research, comes with practice and, when pressed, most people can come up with an anecdote or two that would be perfect for turning into a story. It is these stories that can be used as the building blocks for a longer narrative or book. I have heard a number of great stories but the one I remember best is the story of somebody’s ancestor being eaten by a whale. Somewhat disturbing but good story material! I am not a genealogist but I am a writer and editor who is passionate about ensuring that years of research is not lost. My website offers a range of information products and courses and I write regular blog posts. I also offer a variety of writing and editing services to help people get started writing. 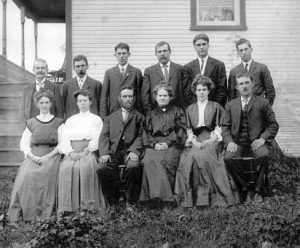 It is never too late (or too soon) to start writing your family history stories. I look forward to meeting you at the show and hearing about some of the stories you have uncovered! In the meantime, why not visit my website at www.beginnersguidetowriting.com. Team TGS on tour – from all corners of the globe! In the midst of competitions and preparation for THE Show in June, we are promoting THE Show internationally online and now, we have an extensive presence at the world’s largest family history conference, RootsTech! In fact, we have our very own TGS ambassadors at the event, including Antecentedia’s John Boeren, and Genetic Genealogist Mags Gaulden, better known as Grandma’s genes, who says she’ll “… be the one in orange!”. 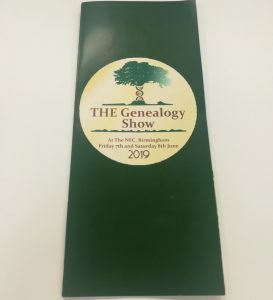 Also in attendance and a part of THE fantastic Genealogy Show Board are Jill Ball, DearMyrtle, Ruth Blair, David Walsh, Event Planner Katherine Harrison, THE Show Director Kirsty Gray plus a host of speakers, exhibitors, social media supporters and followers of THE Show. There are just too many to list! All four of THE Genealogy Show’s headline speakers, Blaine T. Bettinger, Judy G. Russell, Lisa Louise Cooke and Nathan Dylan Goodwin will be attending RootsTech. 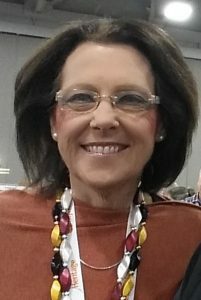 So if you’re one of the lucky few that managed to obtain tickets to RootsTech AND THE Genealogy Show, you’ll definitely see some familiar faces. Keep an eye out for our leaflets, business cards, and ribbons! Don’t forget to tag us on social media if you manage to find one of the team, or find our fantastic promotional goodies: @TheGenShow2019. Since we launched the competition a couple of weeks ago, we’ve had a great response, but, of course, we need your help to spread the word! Remember, this exciting competition is for anyone who has a valid admission ticket or weekend pass. To be in with a chance of winning, simply make your social media, profile picture, the image below and tag us with @THEGenShow2019. Don’t forget to tag us @THEGenShow2019 with the caption #ImAttendingTheGenShowAreYou? Free UK Genealogy CIO is the umbrella charity for the volunteer-led transcription projects FreeBMD, FreeREG and FreeCEN. The charity sprang from the well-known FreeBMD project, growing in scope and ambition to what it is today. It is their mission to provide free, online access to family history records. The organisation supports thousands of dedicated volunteers to create high-quality transcriptions of public records from governmental sources, parish churches, and other trusted institutions. Openness is one of their core principles, and they believe that Open Data and Open Source are key to making and keeping public records accessible to all. Today, 400 million transcribed records are searched on the FreeBMD, FreeCEN and FreeREG websites by 262,000 users per month. A small staff team is available to support the project volunteers and manage extrinsic operations such as charity compliance, marketing, and communications. They are unique in that the 13,000 active volunteer transcribers and project managers have ownership of the day-to-day running, while trustees provide oversight and support, develop policies in line with our mission, and support the organisation’s sustainability. Come and see Free UK Genealogy at their exhibition stand at THE Genealogy Show to learn more, and hear about their exciting plans for the future! 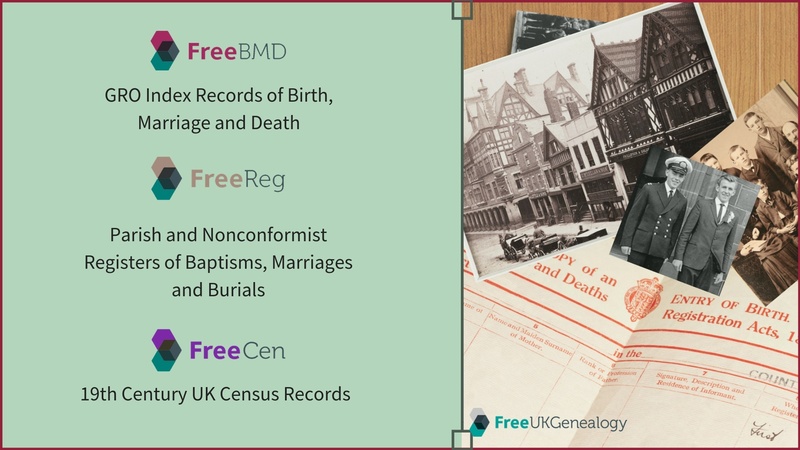 Pat Reynolds will be giving a tour of the new features and plans for FreeBMD, FreeCEN and FreeREG, plus news of what is happening behind the scenes at Free UK Genealogy and in the wide world of Open Genealogy. Book now to attend her arena talk! 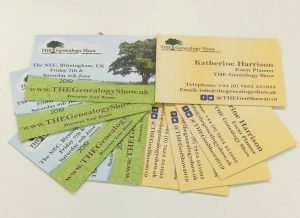 Among the Australians heading to Birmingham in June for THE Genealogy Show are three Genealogists from Sydney, Jennie Fairs, Lilian Magill, and Sharn White. These genies are hoping to make lots of new friends at the show so, if you have any questions about Australian research make sure you seek out one of these women for a geneachat! 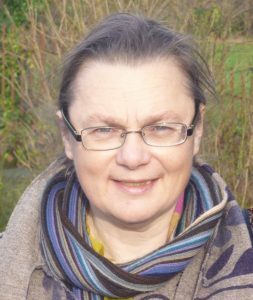 Jennie Fairs has been researching for 40 years and holds a Diploma in Family Historical Studies and an Associate Diploma in Local and Applied History. Jennie turned from a professional genealogist to a book researcher for Australian authors, and has been involved in more than 100 books, including biographies of Chrissy Amphlett, Rod Laver, Margaret Court, Anita Cobby and Cecil Healy! When not involved in genealogy activities Jennie is a “mad patchwork quilter”. You can keep up to date with this genie on her website. Lilian Magill was, in her early life, a teacher and a librarian, but is now loving retirement! Lilian and husband Paul, have two daughters, two sons-in-law and four grandchildren. Lilian began her genealogical journey 34 years ago, when she started researching her father’s side. This has since grown to include her husband’s side and doing research for others. When not chasing ancestors, Lilian likes to read, quilt or knit. 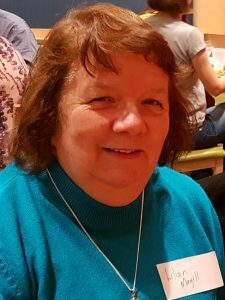 Lilian says “I’ve been to RootsTech twice and was considering going in 2019 but THE Genealogy Show was announced and as I hadn’t been to the United Kingdom, thought why not? This has since morphed into six weeks and visits to ancestral haunts, plus sightseeing”. Lilian is a keen writer, you can follow her blog, Lilian’s Tree and read about her experiences. “I write about anything and everything. I have made contact with cousins, through the blog and I’ve also made great friends, through blogging,” she says. Sharn White has a background in teaching and has studied history, local history and family history at a number of universities. 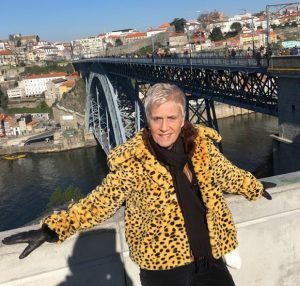 She has been researching her family history for twenty-five years and writes four family history blogs, three of which have been archived by Trove’s Pandora website for their contribution to Australian historical research. Sharn appeared on the television documentary, Coast Australia, after researching the convict history of Norfolk Island and presents regularly about a number of topics, including Convict History, German Immigration to Australia, House Histories, Blogging Family History and Telling Family History Stories. In 2012, Sharn branched into researching house histories in and heritage reports and works both independently and for David White Architects, a Heritage Architectural Practice. 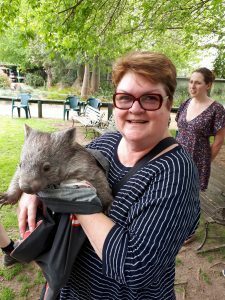 Sharn loves meeting fellow family historians, she has been a RootsTech Ambassador every year since 2015 and will be attending as an Australian Ambassador in Salt Lake City prior to travelling the THE Genealogy Show. We’re very much looking forward to meeting these ladies at THE Show!